It's not just a collar, it's custom canine couture! Australia has one of the highest rates of pet ownership in the world, with almost two-thirds of households having at least one pet. 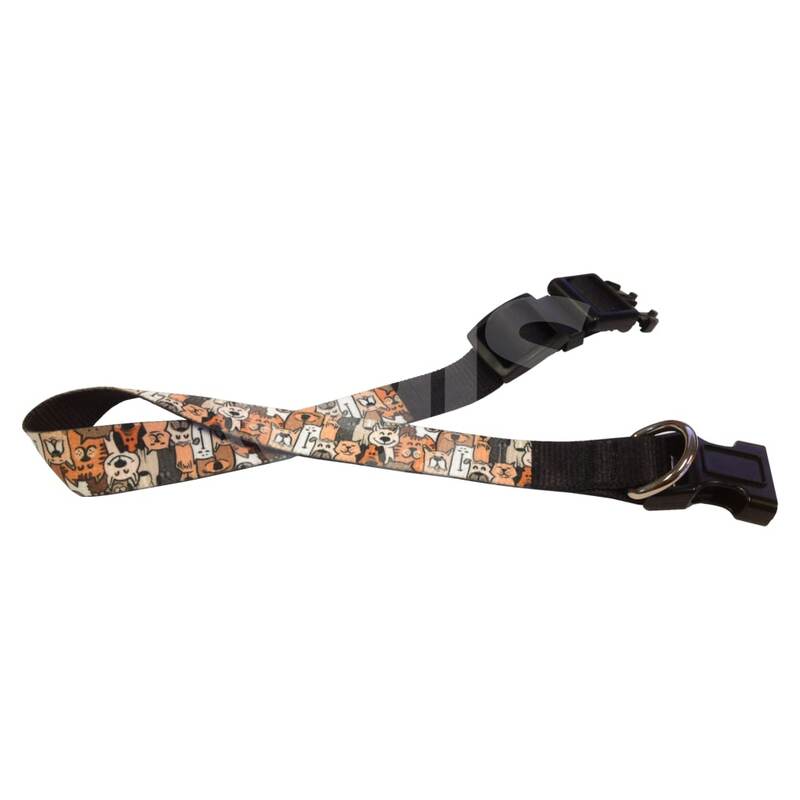 It’s a multi-billion dollar market that you can tap into with easy to create customised pet products such as these adjustable polyester collars. 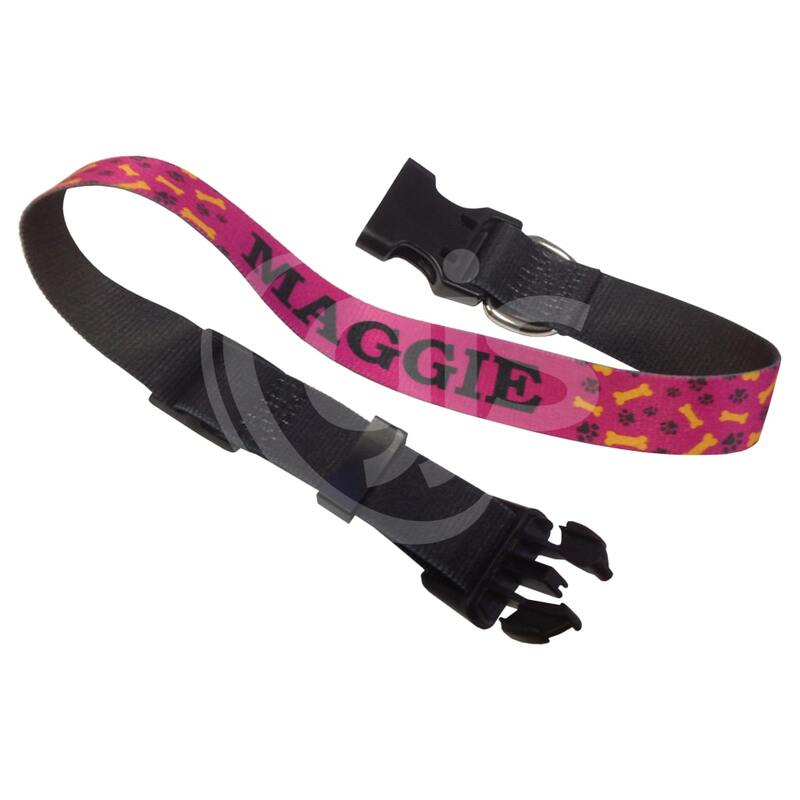 They’re simple to customise with a dye sublimation printed pattern, graphic or name, or go all out and embellish the collar with a metallic or glitter heat thermal vinyl. 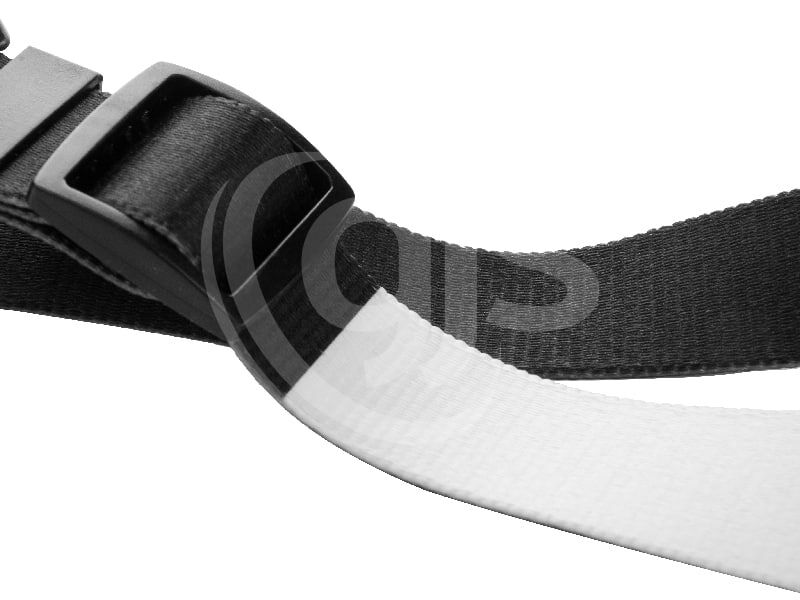 The collars are black, including the plastic clips, with a white panel on the outer to heat press a design onto. 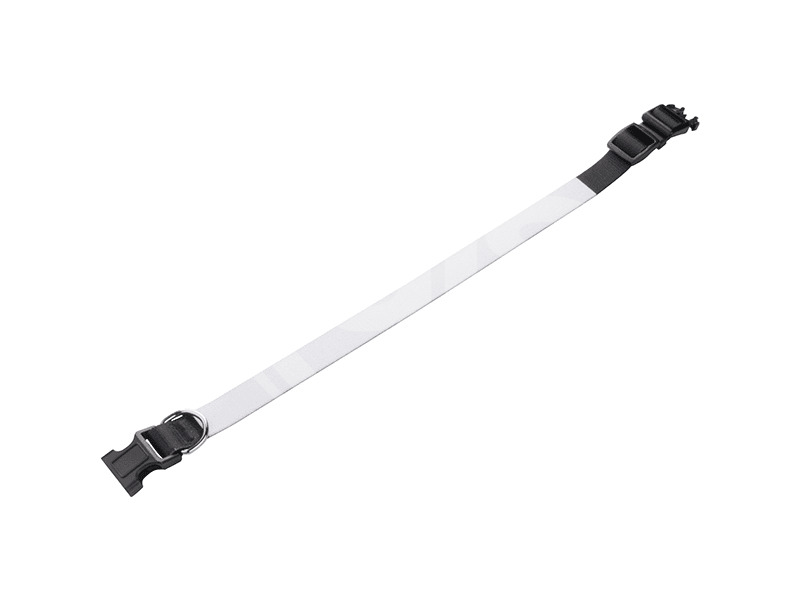 All collars have a standard d-ring for attaching a lead and are available in two sizes. So why not set up a stall at your local dog park? Or sell online to the millions of pet owners around the country to capture a slice of the customised pet product market! 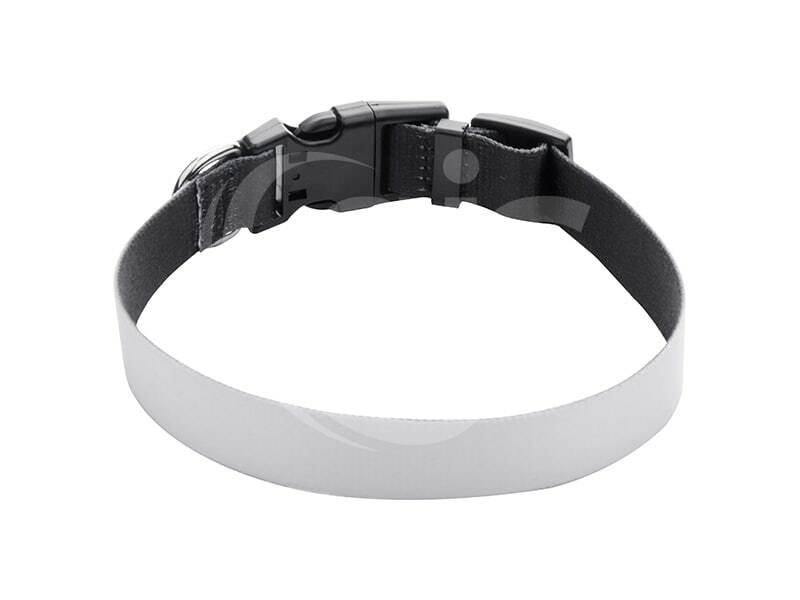 At full extension, the small collar has a circumference of 450mm. It can be adjusted down as far as 280mm. At full extension, the large collar has a circumference of 630mm. It can be adjusted down as far as 380mm.